Whole class activity. 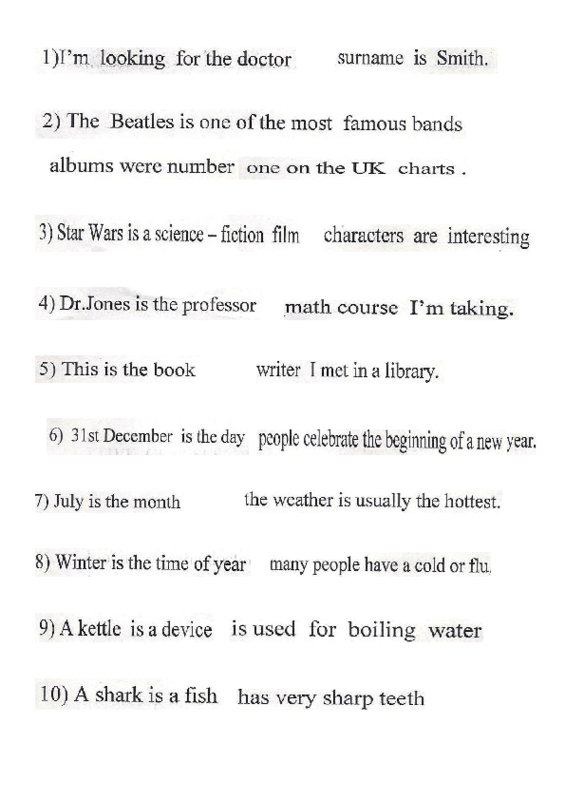 Cut,mix the sentences and give them to students.The students will stand-up and mingle trying to match the sentences in a meaningful way and also they will guess the correct relative pronoun (whose,when,which,where,who). When they are ready, the teacher checks the sentence(s) and the students will write the correct sentence on the board or read them aloud when all sentences are finished.